The flavourful, creative dishes here pair perfectly with the signature cocktails created by Christina Mah. Raw Bar wins fourth place in the Best Tried and True category in the 13th Annual Best Restaurants Awards. General manager and mixologist Christina Mah pouring a signature cocktail. Traditional flavours combined with contemporary techniques and a creative mix of pan-Asian cuisines place Raw Bar among the top restaurants in the city to go to when craving something unexpected and enticing. Despite the departure of Duncan Ly, Raw Bar continues to push the boundaries of Asian fusion by offering bold dishes that bring together flavours from Thailand, Vietnam and beyond. Chef de cuisine Jinhee Lee, a rising star in the city’s culinary scene, follows in her one-time mentor’s footsteps by filling the menu with dishes that reflect her Korean heritage. The lemongrass roasted duck, served with crepes and a tamarind-hoisin jam, is invitingly hands-on, while the perennial favourite beef carpaccio gets a “Vietmodern” makeover with a bright and bold yuzu nuoc cham poured over paper-thin slices of beef topped with chilies, Thai basil and red onion. 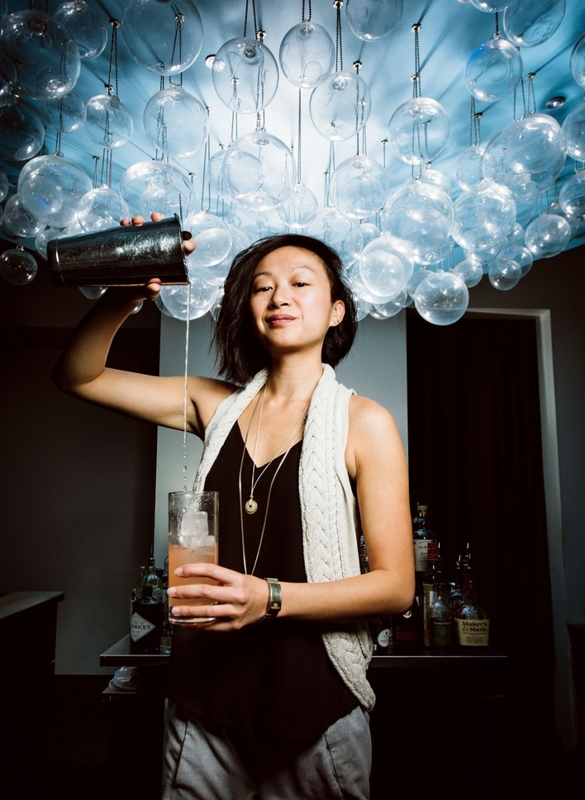 Add a few signature cocktails created by Christina Mah and there’s good reason to consider settling in for the night in a hotel room upstairs.